It has been a busy summer with trips and visits and taking every opportunity to present on my book. I’ll work on an update on my current writing projects, but for now I’ll just share some of the photographs I’ve taken lately. We had family visit in July and we went up to San Juan island and spent some time at Lime Kiln State Park, which is supposedly one of the best land-based sites to whale watch. 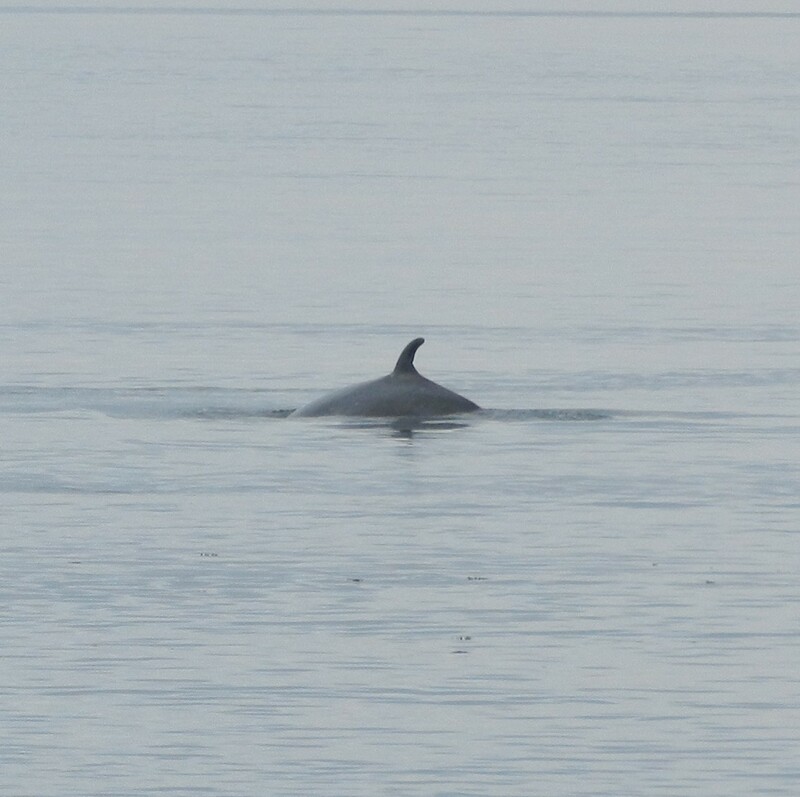 Sure enough, we saw (what some of the more seasoned whale watchers – the ones with big cameras identified as) a Minke Whale. It cruised back and forth a few times and I was able to get a photo of its dorsal fin. 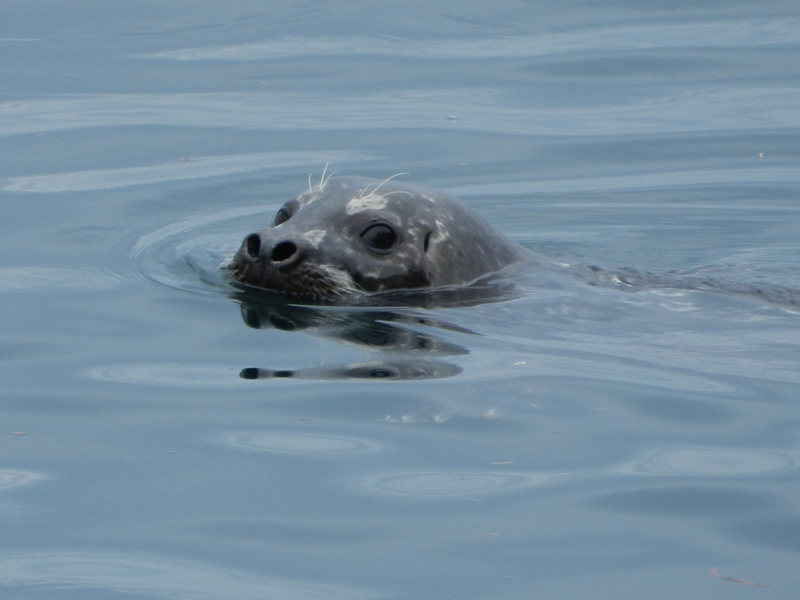 There was also a seal or sea lion cruising around for a while. 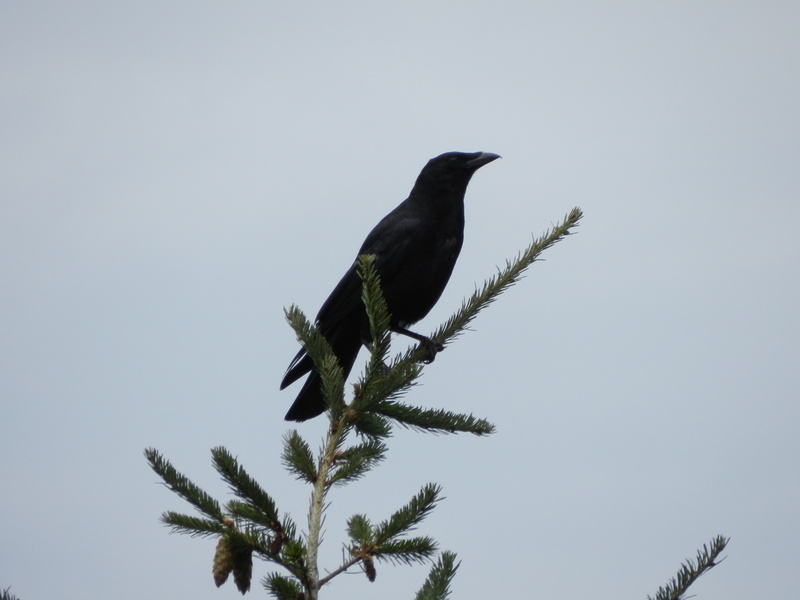 And here is a nice crow who was hanging around when we first arrived. 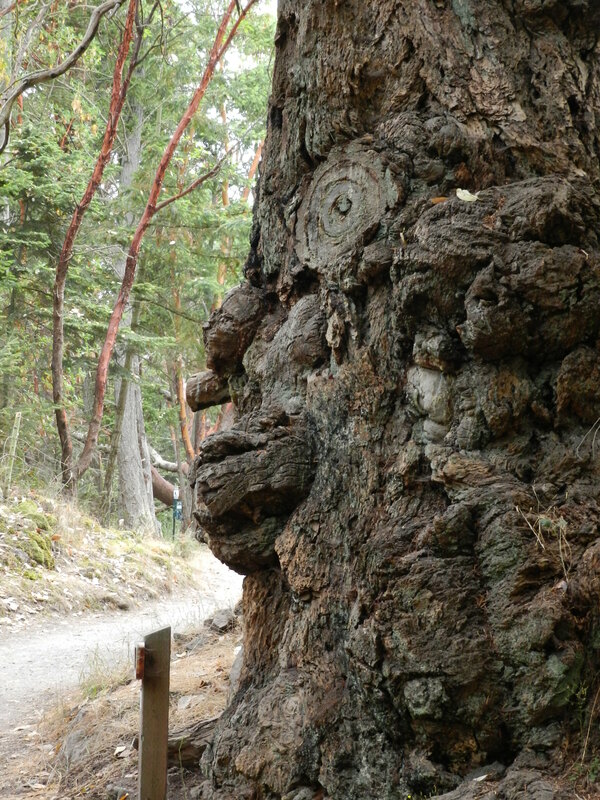 As I was walking around, I saw this great face in an old tree, I took it to be the spirit of this place and was grateful to have seen it. Lastly, we also made a trip out to Sun Lakes in Central Washington, which is quite near some of the wild fires that are currently burning out there. 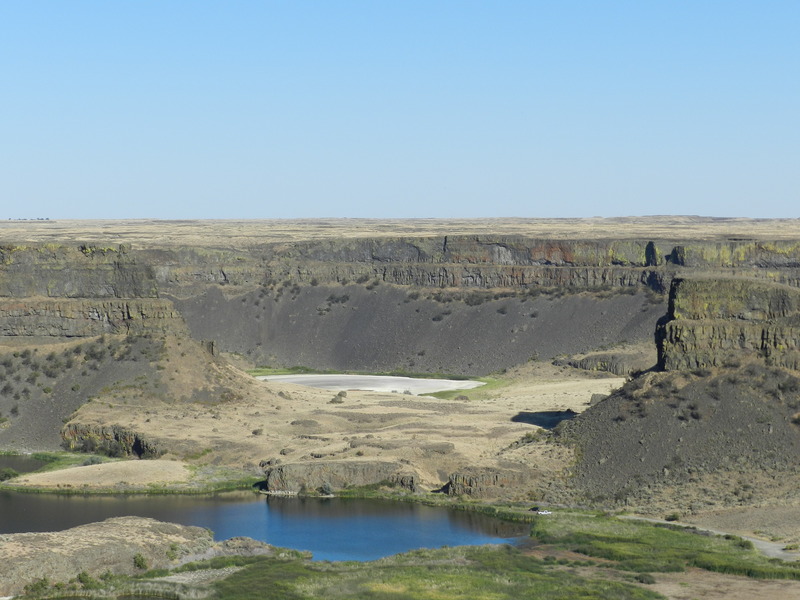 This is a photo of Dry Falls, which was once a huge waterfall, but now is quite barren. It has definitely been a very dry and hot summer here. We just made a trip down to LA and New Mexico and saw a wild fire start in LA while we were visiting friends. It was small and helicopters responded quickly, dropping water on the fire. After that trip down to the Southwest, you really get an appreciation for the ongoing drought and water issues in large parts of the country. 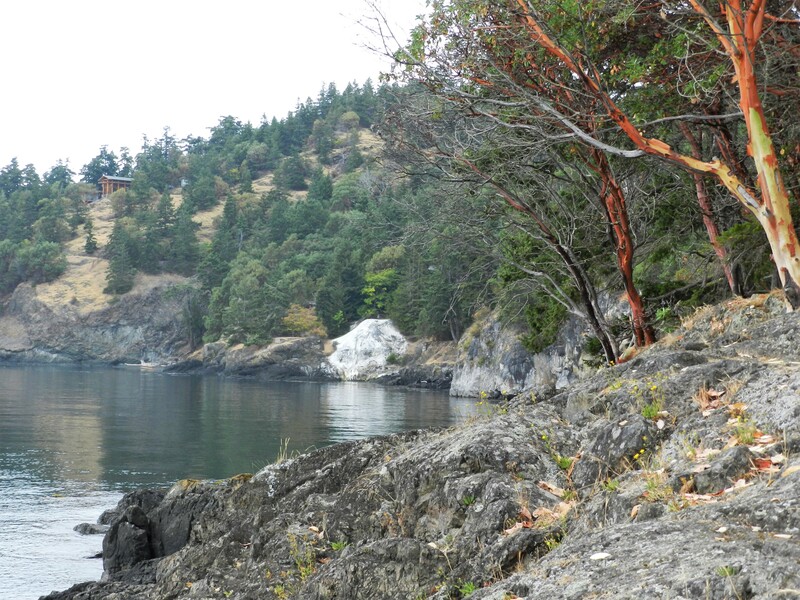 This entry was posted in Being in the World and tagged Lime Kiln State Park, Minke Whale, San Juan Island. Bookmark the permalink. Thanks for this. It’s great!